Coriander (Coriandrum sativum): growing, planting, caring. Hungry for pad thai, pho or homemade egg rolls? Coriander is pretty easy growing, with the ability to withstand nearly everything except a watering if it's too dry! Follow Groww's recommendations with watering reminders to avoid the #1 cause of death among coriander plants! Coriander is a slender, branching annual, generally flower at a height between 30 - 60 cm, but sometimes it can grow as much as a meter! 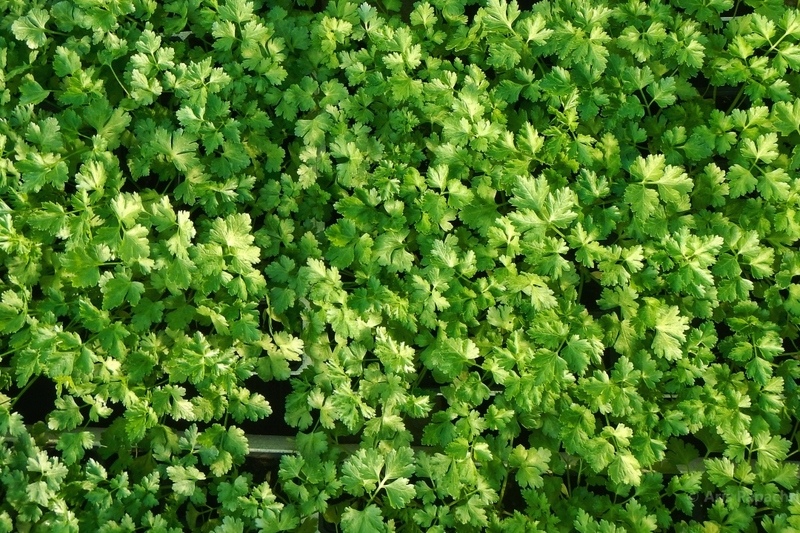 It looks somewhat like parsley — the foliage and the stems are green ou light green, sometimes turning the interior leaves a glistening, smooth red or purple during flowering. The inflorescence, white or pale lilac-pink, is typical of Apiaceae, and the little five-petaled flowers arranged in composite umbels. Know you know everything! Coriander seedlings, famously difficult, are in fact a good way to get your hands on a quality plant. You can seed directly in place, starting at the end of winter through the end of summer in order to spread out your harvests. Choose a semi-shaded location — the sun can yellow the leaves! In fact, the emergence of the seedlings can be a little complicated, and especially slow — sometimes a whole month! Speed up the process by soaking the seeds in a glass of water for 48 hours before seeding. 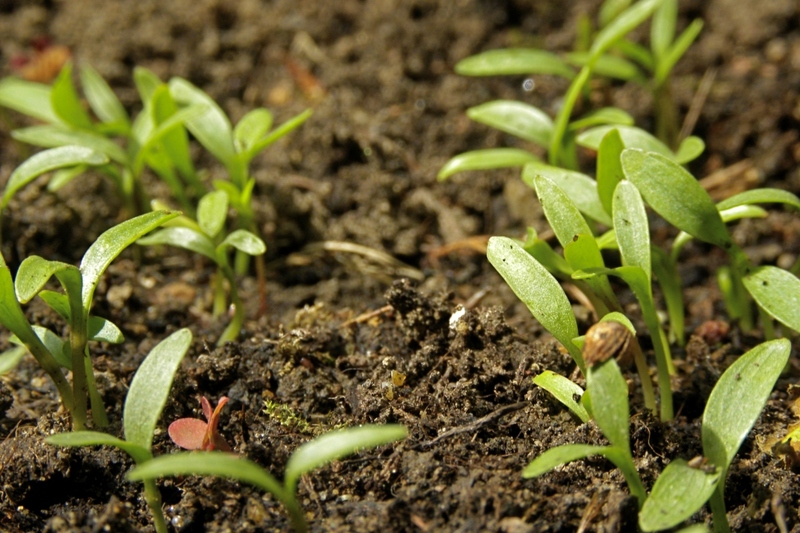 Make sure the soil stays moist during the first few weeks after seeding, until the seedlings emerge! Seed in light, well-drained soil, making grovves every 10-15 cm and covering the seeds with 1 to 2 cm of fresh potting soil. When your coriander shoot each have two to three leaves, thin them in a manner that leaves only one plant every 20 cm, keeping only the most vigorous plants. It prefers a location with indirect sun, sheltered from the wind, in cool, well-drained soil. It is also perfectly suited for indoors, behind a window, or on a balcony, potted or in a box: if you wish to keep it potted, replant it immediately in a bigger pot after buying - a simple terracotta pot will do the trick! The soil must be well drained in order to prevent water from stagnating: the ideal is a substrate of potting soil with an addition of 10% sand. Avoid full, direct sunlight – it will dry out the soil too quickly! Coriander appreciates regular watering – in the case of drought, it'll start to produce...seeds! (And yes, drought means the end of summer to coriander, in other words, time to think about reproduction!). So don't forget. 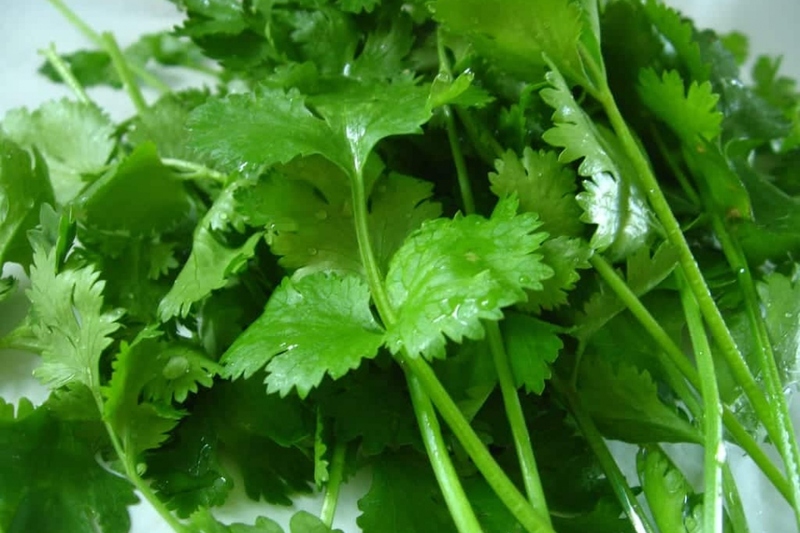 You can cook with coriander leaves all year long! Give preference to the primary leaves by cutting the entire stem to encourage new shoots to sprout. Take advantage of this to get rid of wilted stems, especially those that are going to seed! During winter, you may try to cover your coriander with the help of a transparent cover in order to continue harvesting until the next spring. Coriander is a biennial plant, like parsley. In general, it should provide a good harvest of leaves in the first season, and especially of seeds! It's important to spread out the seeds for a regular harvest. It's possible to gather the seeds in the second year, but in this case don't mix varieties at the risk of crossing generations by accident!